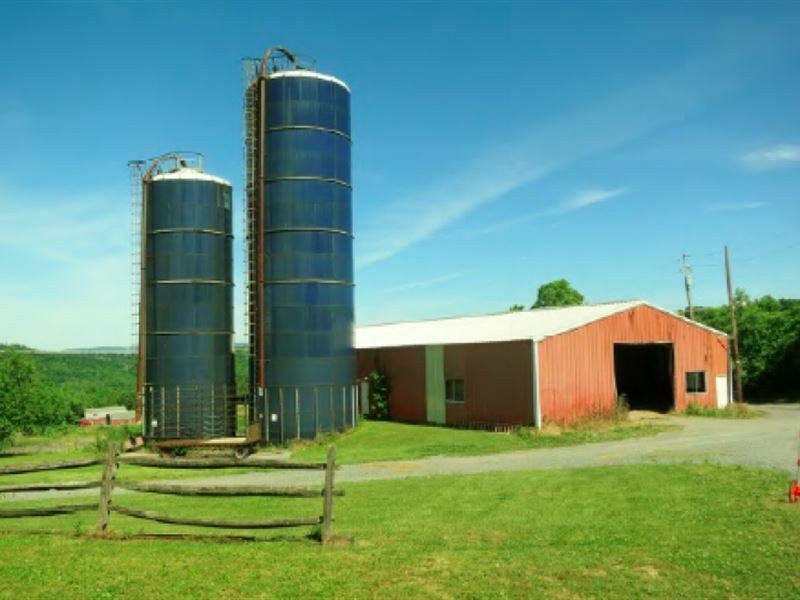 78 Acre Farm Being Sold at Absolute Auction to the Highest Bidder. - Easements and Right of Ways: Unrecorded Utility and Highway ROWs, a 20x20 storm sewer easement along Farm Hill Rd. - Dwelling - Two-story dwelling with 2 bedrooms and 1 bath - 1,600 Sq. Ft. of Living Space - Heated with oil-fired hot water. - Livestock Barn - Six-room Livestock Barn. This barn has not been used for livestock housing for 10+ years. Generator and computer system have been removed. - Barn - Approximately half of the barn has a second floor. Used for hay and machinery storage. Terms - A 10% deposit will be collected on the day of the auction with the balance due in 45 days. A 10% buyer premium will be added to the final purchase price.